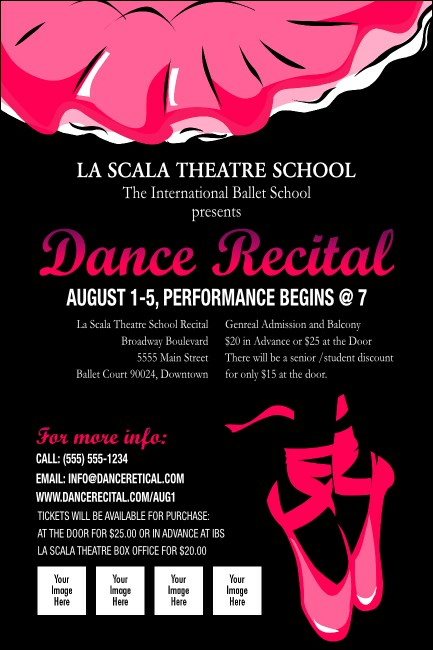 Advertise the emerging dance skills of your performers when you promote your event in advance with Dance Recital Posters. Take the right step toward pre-event advertising when you post these beautiful black and pink Posters around the local area. Upload four of your own images on the template next to a pair of pink pointe shoes. You take care of the choreography, and TicketPrinting.com will take care of the promotions.